Microsoft is the world’s largest software company. It’s famous for Microsoft Windows and Microsoft office, which are the most used Operating systems and document editor. Beside the software, Microsoft provides some web services like Microsoft’s cloud services and email services. 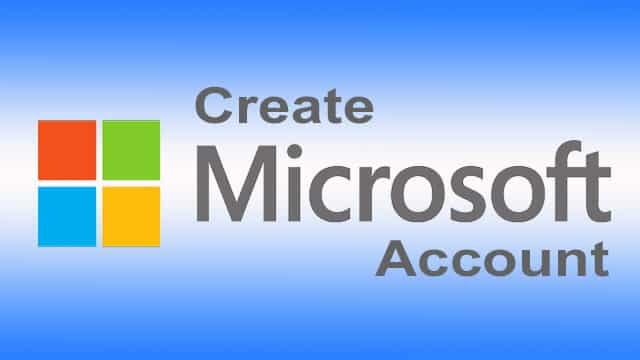 Today we are going to discuss about how to create Microsoft account? 1 Why we need a Microsoft account? 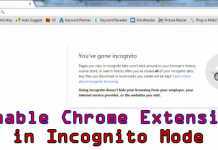 2 How create a Microsoft account? 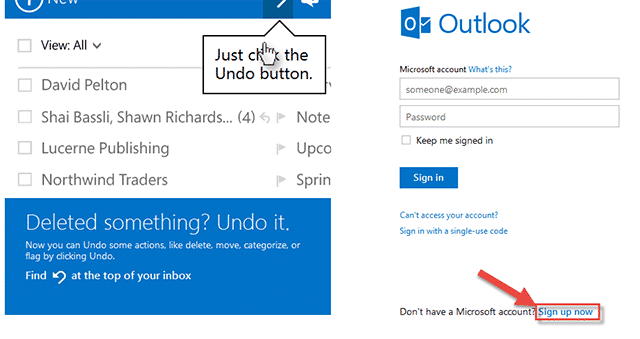 Why we need a Microsoft account? Most of you use Microsoft’s Operating system on your PC, Laptops and Smartphone. Its latest version of operating system needs a registry account for updates and software. If you do not have a Microsoft account, then you do not get the facility. Not only the purpose of operating system but also when you try to access any Microsoft web or online service you need to go through the Microsoft account.For example, when you register a OneDrive account, you have to register using your Microsoft account. Not only the OneDrive there are so many such applications and web services are available in the market that can only access by Microsoft Account. So why we don’t create a new Microsoft account? How create a Microsoft account? 1) Go to Live.com and click the link “Sign Up New” button. 2) Fill all the boxes, including your phone number. 3) To fill the user name box you have to enter the new name which you want to create the email adders with either @outlook.com or @hotmail.com. 4) After filling, all the boxes, click on the “Create account” button. Now your new email Microsoft email address is being created. 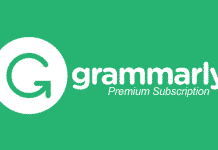 If you are using other mail service like Gmail, Yahoo mail, etc. 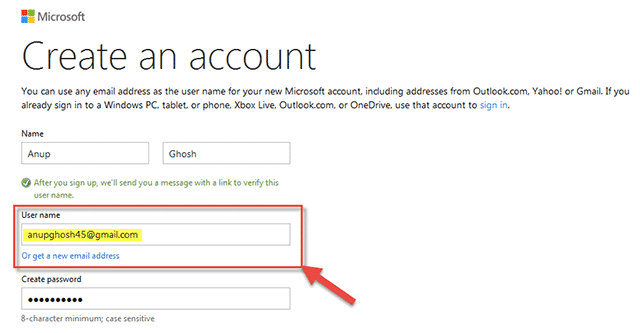 and don’t want to create a new email id, then you can create Microsoft account with existing email address. 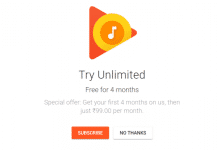 1) Go to Signup.live.com and fill your details. 2) In the User name field, put your existing email id. 3) After filling all details, click on “Create account” button. That’s it. This is a simple thing most of you know the step and not need to guide. However, we found that so many people at Google are searching for how to create Microsoft account that is why today we post about this simple and easy topic for help those people.